Get preapproved, not just prequalified for a mortgage loan. I was a recent guest on a real estate radio talk show in Houston, The Home Pro Real Estate Show on KSEV AM 700 “The Voice of Texas”. The topic of the day was First Time Home Buyers. We shared some great tips and suggestions for those looking to purchase their first home. We talked about how to choose the right REALTOR, how to find the right home, how to research the schools and many other things that first time buyers should consider. It struck me that not only was this good information for first time buyers, but a good reminder for anyone considering the purchase of a home. Our discussion about getting preapproved rather than just prequalified was probably the number one point that I could reinforce today. Buyers will want to demonstrate to the sellers, when presenting an offer to purchase, they have the ability to close on a mortgage loan. The best way to do so is with a letter from the lender, this increases the strength of your offer and your qualifications as a buyer. Sometimes when the loan officer issues a letter of prequalification, it’s based on the applicant filling out a loan application in person or online and stating income, debts etc. Prequalification is based solely on what you put in the application. It’s the old garbage in, garbage out rule, to steal a phrase from our computer programming friends. The issuer of the prequalification letter may or may not have run a credit report or seen documents verifying income, debts, etc. Personal finances can be complicated and simply stating income, major debts and so forth may not reveal the complete financial picture of the borrower. The information provided may be enough to get the buyer a prequalification letter, and could even be enough for a seller to accept their offer. In a multiple offer situation, simply being prequalified may not put you ahead of an offer where the buyer is preapproved. Preapproval is the way to go for buyers competing for contracts in this seller’s market we find ourselves in today. The preapproved buyer has already been through the complete loan application process and final loan approval is subject only to approval of the property by the lender. Now, how’s that for being a strong qualified buyer! Here is the takeaway. 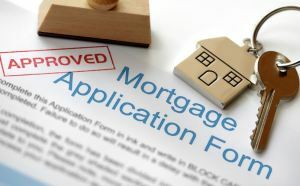 Get a letter of preapproval from your lender, not just a letter of prequalification. You ultimately will have to go through the process anyway, so why not do it before you are in the middle of a purchase contact. Why add to the stress that accompanies a contract negotiation, by having to track down additional documentation requested by the lender? Requests like this are typical during the loan approval process and are to be expected. When you’re preapproved, all that is already done, now you can concentrate on what you really want, getting into that beautiful new home you’ve fallen in love with.